Your eyebrows are easily your most important facial feature. They shape your face, giving you definition. A great pair of eyebrows can give you great confidence in your appreance wherever you go. If you’re not satisfied with the ones you have, microblading may be the solution for you! Microblading is a very natural option that delivers semi-permanent results with very low mantenance. Unlike permanet makeup that can make your eyebrows look drawn on and unreal, our microblading expert here at Skin Essence a day spa delivers natural looking hair strokes that look just like real hairs. Microblading is perfect for those who lack eyebrow definition, have gaps of lost hair, thin eyebrows, or eyebrows with little to no hair due to aging. Microblading will define, cover gaps, extend the eyebrows, fill-in over plucked brows, or fully reconstruct if the brows have little or no hair left. Microblading is also perfect for those who want to add a slight arch to their brows. The results are extremely natural and undetectable. Microblading is a semi-permanent tattoo. It is a form of permanent makeup where the pigment is deposited into the upper layers of the skin, dermis, to make the pigment last. Unlike traditional permanent makeup tattoo ink that likely spread and turn bluish gray or red, microblading technique insures that the ink remains the same color throughout time. Lina Yang our professional microblading expert had extensive training and performed in China for permanent cosmetic since 1987. 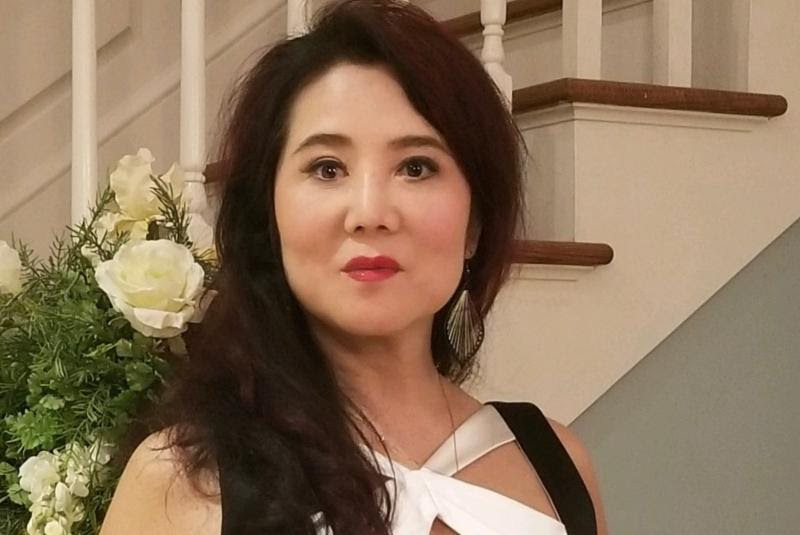 She is formerly a well known plastic surgeon and skin care specialist in the Southern region of China since the 198os. 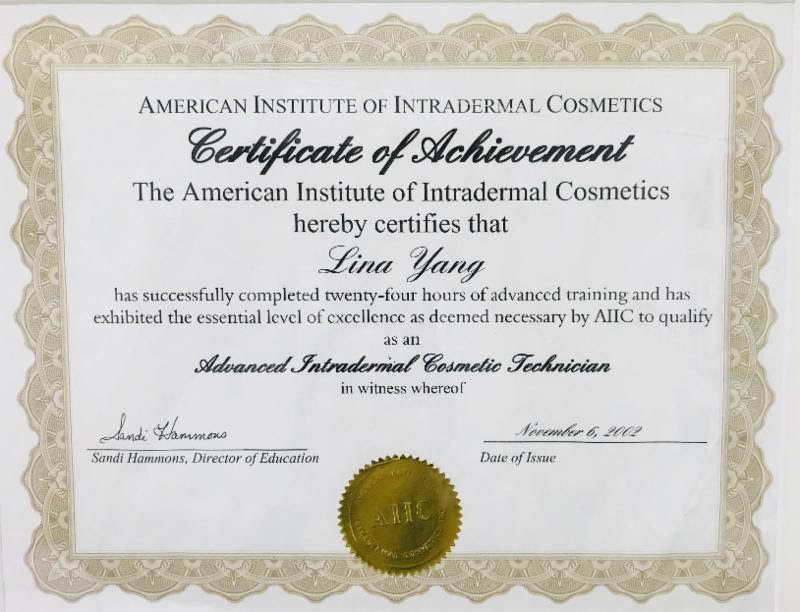 She currently attends on going training in China with the world famous experts who created microblading. She keeps up to date with the lastest techniques, technology and trend in skin care and cosmetics. Microblading consists of using a special microblading pen to draw on individual hair-like strokes one by one to mimic natural hairs in your eyebrows, allowing them to control of the shape, color and density of the completed eyebrows. First the eyebrows are drawn in with a removable pencil. This is the most important step. This is where the best customized desired shape and style, as well as the prefered shape and style for the client is chosen. Next a color is chosen that is mixed using a natural selection of semi-permanent micropigments to complement your hair color and skin tone. Before the microblading begins, we apply a topical numbing cream to the area to minimize discomfort. Some clients may feel a slight dull discomfort, but it’s relatively painless. Some of our clients have even fallen asleep and woke up with a full set of beautiful eyebrows. After the treatment, it is essential to protect the eyebrows from all moisture (no intense workouts or getting the face wet). During the first week after the procedure, you may experience some itching and redness, which the ointment you have will alleviate. Your brows will look slightly darker at first, but the color will fade 30 to 40 percent. Aftercare ointments are provided during your first appointment. Your eyebrows will have a very short recovery time. Slight redness and mild swelling is normal. Results last up to three years. Touch up service is usually up to every 2 years depending on the individual’s skin and how well it holds the pigment. The needles used come in a variety of diameters so that the thickness of each individual hair stroke can be customized to each client depending on the width of their natural hairs as to make the microblading process look more natural.